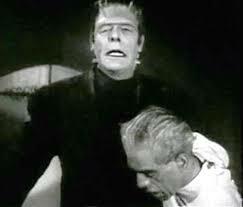 Frankenstein has been the subject of many movies, some campy classics and some rather awful. Frankenstein with Boris Karloff (1931, is likely THE Frankenstein flick, although there were earlier versions – and a couple dozen later ones. 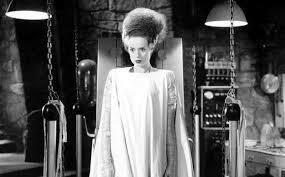 I admit my favorite in the genre is Bride of Frankenstein (1935). There is something about Elsa Lanchester’s piercing eyes and frizzy hair that touched my taste for the terrifying. Just to be clear, I’m not recommending you go out and watch any of these. And in that this is but a fraction of the “Frankies” that have been made, you may think it odd that I believe we need one more. I’m talking about the yet-to-be-made Frankenstein vs. the Pope. Frankly, this show won’t have a Frankenstein, but a Canavero. Sergio Canavero is an Italian doctor who says he will perform the first human head transplant. He plans to do this in China, the medical authorities in the United States and Europe being understandingly opposed. He claims to be on the road to medical history, having successfully transplanted heads and bodies of animals and human cadavers. The doctor says the operation that is supposed to put a living head on a living body not its own requires a couple dozen surgeons, will last 24 hours and cost $100 million. 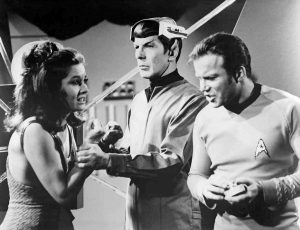 The closest anyone has ever come to doing something like this was on the original Star Trek, when Dr. McCoy had to restore Spock’s brain after it was stolen by aliens. Wait…that was a television show. It wasn’t real. It was science fiction. But rather than looking for inspiration from fictional characters or space aliens, I look to Pope Francis. He recently gave a talk on how we should face the challenges of technical advances in medicine. I don’t think Frankenstein – I mean Canavero – responds favorably to any of the three points. But he falls especially short on the third. Maybe this diabolical doctor really can perform a human head transplant. I seriously doubt it. And even he admits that if “successful” the resulting being probably wouldn’t live very long. But for the sake of argument, let’s assume he can do it. Could there be any greater example of something that shouldn’t be done just because it could be done? The one consistent theme in all the old Frankenstein flicks is that Frankenstein – the doctor — ends up in disgrace. Frankenstein vs. the Pope will end the same way.